HERMAN CAIN TAKING QUESTIONS FROM REPORTERS Speaking at campaign event in New Hampshire. First Topic: J.R. Martinez, Dancing With The Stars Champion, spoke with Anderson via satellite for a very brief time. Guest: Tracey Gold, Host, "Starving Secrets With Tracey Gold"
Do You Have A Favorite Journalist? What's Your Advice for Young Journalists? First Topic - Anderson examined the new trend of parents gifting their children plastic surgery, and questions the message being sent about beauty. Guests: 23 year old Brittani and her father, Dr. Michael Niccole, the plastic surgeon who gave her breast augmentation surgery at 18 and a nose job at 21. At age 23 Brittani is considering more procedures. Brittani's mom and sister who don't want her to have more surgery (or any for that matter), also joined in the conversation. A mother on her fourth round of plastic surgery, who gave her daughter breast implants for her high school graduation and the 18 year old daughter. Dr. Robyn Silverman, Ph.D., Body Image Expert, weighed in on the subject. Second Topic - Twelve-year-old singing sensation Savannah Robinson, who recently included Anderson in her anti-bullying music video, performs her anti-bullying song on the show. First Guest - Melissa McCarthy; "Bridesmaids", Emmy winner for Outstanding Lead Actress Comedy Series, "Mike & Molly" sat down to talk to Anderson about her life & career. A surprise for Melissa; Sister Barbara K. Wiatkowski, Melissa's High School Dean from Plainfield, IL. Second Guest - Victoria Ruvolo, struck by 20-pound frozen turkey thrown from speeding car sat down to talk to Anderson about her "experience" and forgiveness. In the audience, Detective James Bierton who tracked down teen who threw frozen turkey & Dr. Robert Goldman, co-author No Room For Vengence. 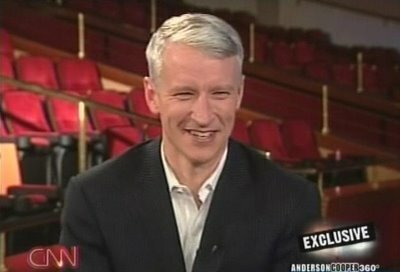 After the Thanksgiving Holiday, we will be changing the format of the talk show post to be more in line with the AC360 post – one picture and a list of topics/guests. I volunteered to take on blogging the talk show for ATA when it started due to other team member’s time constraints, work schedules and the time slots in certain markets. It was our hope that a reader or two would come forward to join the ATA Team and help with blogging the talk show on a regular basis. Unfortunately, that has not happened. With work, the holidays approaching and my other blog responsibilities, I cannot continue to devote the amount of time to the talk show post that I have been, on a daily basis. The talk show web site has recently started posting some full episodes and continues to post clips from each show. The new format will give our readers an overview and a landing for comments along with a link to the 'Anderson' website. If there is a certain segment that catches my interest and I think readers would be interested, I will clip it, like we do with certain AC360 interviews. I am also willing to accept reader requests for a particular segment/guest interview and post it in a special “Reader Request” post within a day or two. I would ask that requests be from readers who identify themselves other than commenting as "anonymous." You may leave reader requests (reasonable please) in the comment section and we will do our best to accommodate the requests we receive. If interest in the talk show increases and readers step forward to help on a consistent basis, we are willing to re-evaluate, but until that happens, we will be moving to the abbreviated post format. 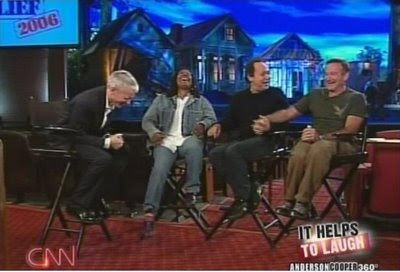 Last week we began sharing installments of Anderson's 5 part interview with Whoopi Goldberg, Robin Williams and Billy Crystal from Las Vegas in November 2006. 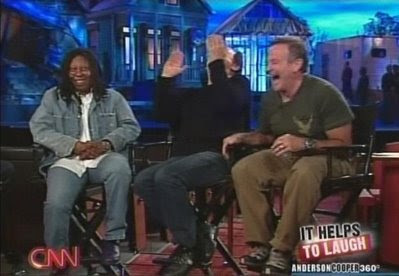 The interview was filmed while the trio were promoting their charity show, Comic Relief. Here's the last in the series. 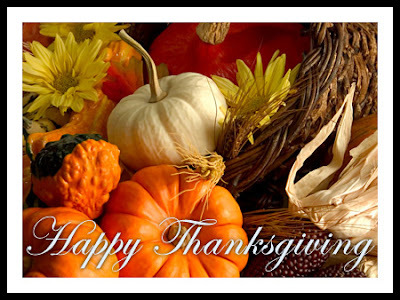 We hope you enjoyed! 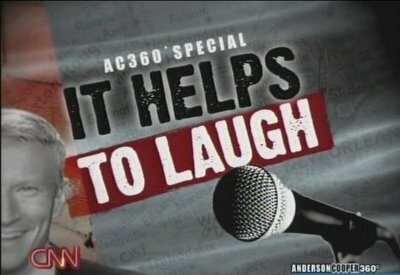 June 5, 2009 was day two of Anderson's co-hosting stint on Live with Regis and Kelly. On this day they discussed the NBA finals including shoe and jersey sizes, perfect attendance in school, the germ quiz...again, I'm A Celebrity, Get Me Out of Here, Heidi & Spencer and Anderson's mugging in the host chat. There were other surprises for a couple of audience members; a brother and sister re-union with the help of ancestry.com and a women getting the good news that she had been approved for a Habitat for Humanity home. 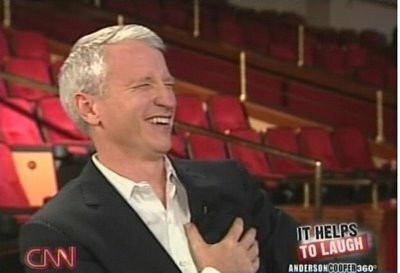 For additional clips and information from today's show, please visit andersoncooper.com by clicking on the hotlink below. Wolf Blitzer moderated the Republican Security Debate from Washington, DC which began at 8PM. 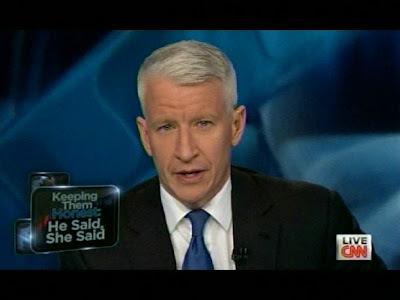 In what normally is the repeat hour of AC360 (10 PM) John King anchored the post debate discussion. Among those who participated were Dana Loesch, Gloria Borger, Ari Fleischer, David Gergen, Erin Bernett Tom Foreman and Donna Brazille. Friday's RidicuList: Pizza Is A Vegetable?